Today I keep seeing the same headline over and over. “74 School Shootings Have Happened Since Newtown.” No, no they haven’t, unless you have the loosest definition of ‘school shooting’ possible. The article that have been running this headline refer to this report done by a group called Everytown for Gun Safety. (Full report PDF file here.) The problem with their numbers in my opinion is that a lot of these shootings took place in parking lots or at sporting events and at least one where no one was injured or killed. 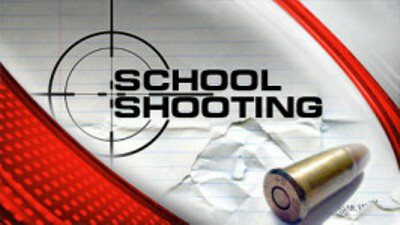 These are not what I would call ‘school shootings’. I define school shootings one way. That is when a student or even an outsider storms a school with guns with the express purpose of killing as many victims as possible. That’s probably what most people think of when they hear the term school shooting. By my definition there have been 9 school shootings since Newtown. You know what? That number is still too high. I choose not to own a gun. That is my personal choice. If someone wants to own a gun that’s their right. However most of the guns used in these shootings came from home. In the majority of the shootings the gunmen were minors who were able to easily procure their parents’ guns. There are instances where the 2nd Amendment is not a guaranteed right such as felons can not legally own guns. There should be another provision added to that. If you own a gun and it’s not properly secured and is used by a child to commit a felony then you lose your gun privileges. Maybe then some people will smarten up and secure their guns better.